The Loving Cup. Highway 212, Cooke City, MT 59020. Phone: 406-838-2412. 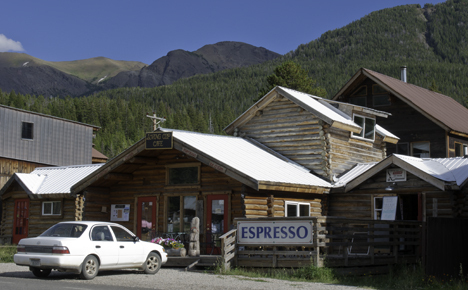 Cooke City Store. 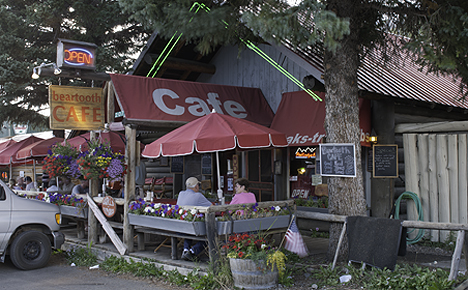 101 Main Street, Cooke City, MT 59020. Phone: 406-838-2234. Miners Saloon. 208 Main Street, Cooke City, MT 59020. Phone: 406-838-2214. Ore House Saloon. Soda Butte Lodge - 209 Highway 212, Cooke City, MT 59020. Phone: 406-838-2251; Toll-free: 1-800-527-6462. The Bistro. 214 Main Street, Cooke City, MT 59020. Phone: 406-838-2160. Chuck Wagon. 102 E. Main Street, Cooke City, MT 59020. Phone: 406-838-2310. The Prospector Restaurant. Soda Butte Lodge - 209 Highway 212, Cooke City, MT 59020. Phone: 406-838-2251.